Hmmm... not too jazzed by this one. Maybe it has to do with it being that I've yet to see the movie version of Harry Potter and the Half-Blood Prince? More likely the fact that as much as I love the Harry Potter books, I've grown weary of the film adaptations. They've diverted so much from the original novels that I for one would welcome a new attempt to make a movie franchise of this series ten or so years from now (ideally one movie a year for seven years, with the same cast). 'Twould definitely benefit from being produced in hindsight. 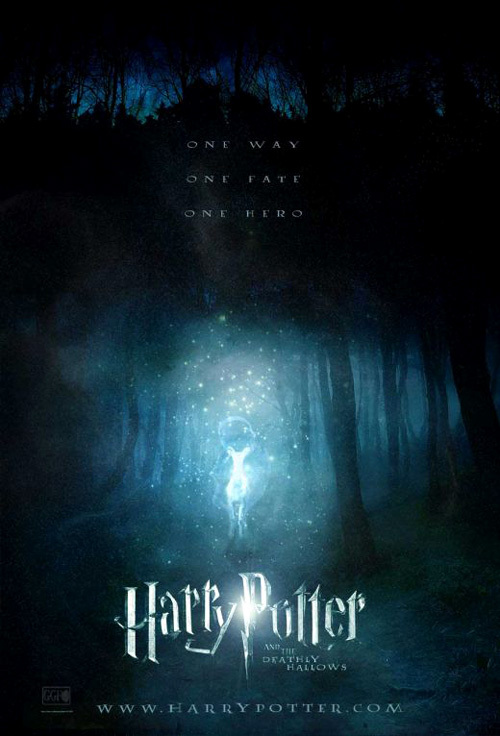 Anyways, there's yer first teaser poster for Harry Potter and the Deathly Hallows, the first part of which is due out later this year.